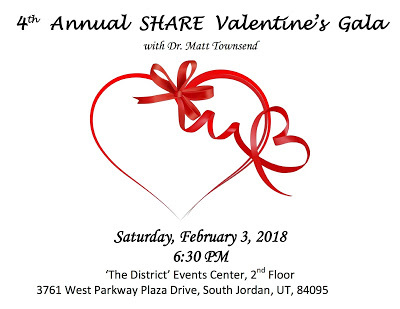 2018 is a very momentous year for Share Parents of Utah! 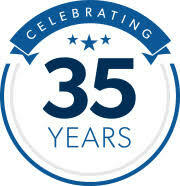 We have many fun events planned to commemorate our 35th year of serving and supporting families across the Wasatch Front. 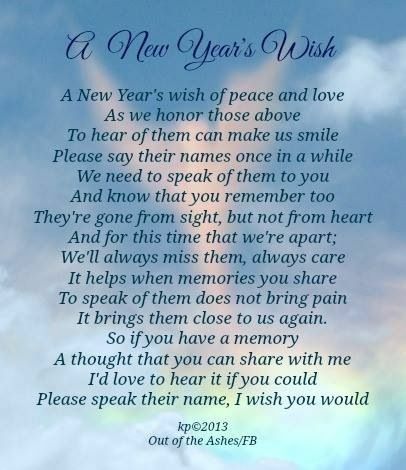 Share Parents of Utah would like you to know that you do not need to face the grieving process alone. Below is a list of a few of the organizations that offer support and resources to grieving parents. Though each meeting has an assigned topic, we are always willing to talk about whatever is on your mind and whatever can help you in your grieving journey. For more information about support meetings, please visit www.shareparentsofutah.org. Our feet touched as my husband and I leaned against our linen headboard in resignation, but we were a world apart. I had wine in one hand and a large spoonful of ice cream in the other. Since I was no longer pregnant, I figured sipping Chianti in bed while shoveling salted caramel mounds might cut through the unrelenting anguish. It didn’t. That night, my nightmares were a replica of the heinous events of the day: baby emerging, cutting the umbilical cord, hemorrhaging, the unmedicated D&C. I woke bereft, sullied in my blood, sweat, and tears. I was surrounded by support in the aftermath of my 16-week miscarriage — the loss of a baby that would have been our second child — but I still felt alone. Friends and family sent flowers, food, checked in by phone. I noticed these thoughtful gestures, but no amount of care could lighten the intensity of my pain in the days following my pregnancy loss. My husband reiterated time and time again that we were "in this together," but he didn’t experience haunting dreams, lactating breasts, or spiking hormones. He could go about his day uninterrupted by piercing flashbacks. He didn’t go off to work in a body that looked pregnant but wasn’t. "Everything will be okay, my love," my husband would say. "We’ll have another one." Then he’d get out of bed and dress for work, as if nothing had happened, leaving me feeling isolated and furious. I am not one to compare pain. What good does that do? I knew he was hurting. But still, it seemed like he was only skimming the surface. And while he was staving off his pain, I felt like I was drowning in mine. I wanted more from him — needed it, actually. 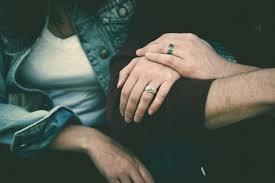 I wanted him to cry with me, hold me, share how broken he felt, bring me coffee in bed. The articulation of his pain was so slight — all he said was that he was sad — it seemed to accentuate mine all the more. My husband is a man of tenderness, wit, and words, but when it came to something this unimaginable, his vocabulary was stymied. His expressiveness — both words and gestures — went on hiatus, making it hard to access the man I knew him to be. He acted as though things would return to normal in no time. Perhaps he felt guilty for not being there on that foggy midOctober afternoon when the baby came out while I was home alone. Maybe the trauma of this loss left him shell-shocked and unable to access his feelings. He consistently checked in throughout the day, and spent even more time with our son as I healed; but I wanted to be let in on his emotional journey. I wanted to truly feel, as he’d said, that we were "in this together." Instead, all he’d say was, "We will get through this. Things will be different next time." Without a shared mourning process, I was engulfed by a sense of detachment and anxiety. So I turned elsewhere — to friends, therapy, writing — all the while missing the love of my life, wishing he was the one I could rely on. All those months of sharing my feelings with friends and in therapy, rather than with him, left me feeling like we hardly knew each other anymore. Before, we would cuddle every night; now we fell asleep on separate edges of the bed. It wasn’t until we got the fetal pathology results that we could anchor our miscarriage in facts, which somehow brought our paths closer together. On the evening of my doctor’s phone call, we sat cross-legged in bed, beers in hand, discussing all that had unfolded. With tangible answers — a chromosomal abnormality — my husband’s fears subsided, and with this came a widening of his emotional landscape. He cupped my face in his hands and said something wise and even hilarious, like he typically had: "I know we really wanted an unmedicated birth, but this isn’t exactly what we had in mind. The upside is: We get to try to make a baby again." Our shared laughter provided a bridge. I had missed our intimacy and ease. Living through a loss of this kind required us to reexamine our patterns of communication and prioritize vulnerability. We talked openly about our individual and collective aches and pains — fear of trying again, of this same thing happening, the heartbreak and alienation — and how vital it was that we remain connected as we moved forward. We wanted, most importantly, to remain poised while parenting our 3-and-a-half year old son, and promised to help each other meet that goal. Living through a loss of this kind required us to reexamine our patterns of communication and prioritize vulnerability. In the months that followed, we reckoned with what it would mean to undertake pregnancy again and potentially go through 10 months of anxiety. The stress was still palpable when we decided to try. Despite being well-versed in how horribly wrong things could go, we were hopeful that our traumatic experience was an anomaly that wasn’t likely to happen again. 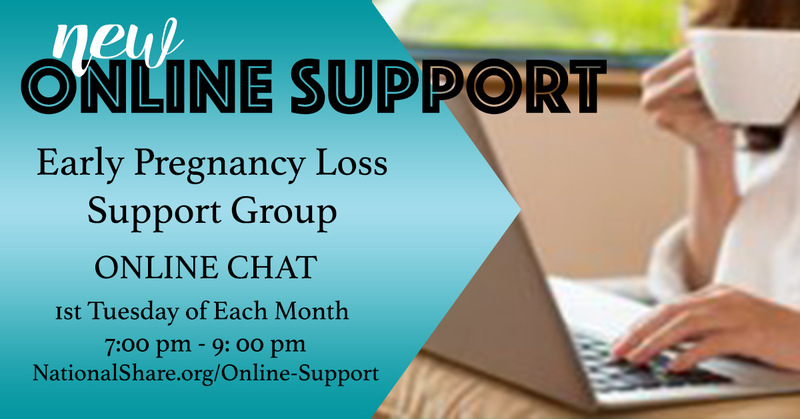 When the lines appeared in the pregnancy test, it had been four months since our loss. The good news left me feeling vulnerable and apprehensive; it all seemed so fragile and surreal. I wondered if this positive pregnancy test might brighten our marital landscape, which was still recovering from disappointment. My subsequent pregnancy was physically smooth but emotionally tumultuous. Until my daughter was nestled in my arms, I was preoccupied by fear. I searched my underwear for blood on a daily basis and was convinced I wouldn’t have the opportunity to feel my daughter’s beating heart against mine as she suckled my breasts. My husband tried his best to support me through this pregnancy — he checked in on me constantly, told me how beautiful my growing belly looked, reassured me that things were going well — but my anxiety made it difficult to feel deeply connected to myself, let alone with him. Our closeness waxed and waned, but our grief was a constant. Haggard but hopeful, we somehow made it through. Together. As my contractions quickened in labor, my worries about this pregnancy not coming to fruition finally dissolved. I felt a sense of return — to myself, to my marriage — as my husband supported me through the birth of our daughter. His nerves transformed as I pushed our baby into the world and he caught her. As he brought her to my chest, we marveled at what we had gone through to get here. Now, I watch as our daughter’s blonde ringlets rest on her 2-yearold back as she scribbles with a neon crayon. Mundane moments like these seem extraordinary, having been turned upside down and inside out by my miscarriage. She awes me. And this actually applies to the feelings I have for my husband as well. I marvel at his steadfastness, his simple care for our children, his devotion to us. After all we endured, I don’t take love for granted. Though our grief flung us apart, it ultimately glued us back together — it was the only way forward. Our daughter’s birth and the miracle of making it through that terrible time pushed us to be even more compassionate toward one another. We realized just how much a marriage can endure, how strong a union can be — and how much it can teach us about ourselves and one another. Support Share with your shopping!!! We invite you to support Share Parents of Utah by using AmazonSmile. Amazon donates 0.5% of the purchase price of qualifying purchases to Share Parents Of Utah. It's completely free! If all of us add this one step to the Amazon purchases we make every day it will add up to hundreds of dollars that pay for hand and feet molds for families who need them. 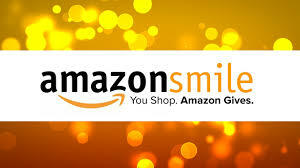 Bookmark the link http://smile.amazon.com/ch/94-2951338 and support us every time you shop! Copyright © 2018 Share Parents of Utah, All rights reserved.